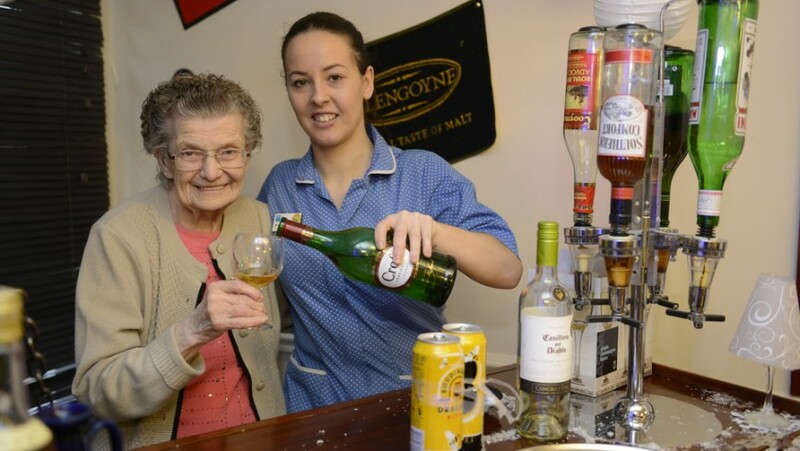 Old folk in a care home have been given their own free PUB – complete with karaoke machine. 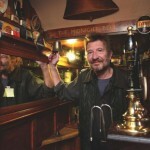 The bar stocks a range of wine, beers and spirits and aims to get residents socialising and singing over a free drink. 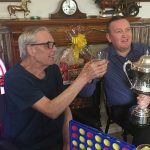 It is staffed by care workers and each resident has their own personal beer tankard and can order what they like. All drinks are free so the bar, in a corner of the lounge, doesn’t need a licence because no money changes hands. It also has a dart board and pool table and is working wonders in boosting morale among the 120 elderly people at the home. Resident Helen Brown, 85, said: “I like to come here and have a good chat with my friends over a small glass of shandy. Manager Fiona Truesdale said the pub was a form of therapy for residents, especially those with dementia. 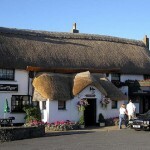 She said: “The pub is a comfortable and familiar social setting for our residents which helps to makes them feel more at ease within their surroundings. The Bupa-run Elderslie Care Home in Paisley, Scotland is built on the site of a former pub which burned down. Fiona added: “This concept improves the living experience for residents by providing extra cognitive stimulation which inevitably improves their mood and general sense of wellbeing. “Families can also benefit from spending time in an enjoyable setting which enhances the visit to their relative or friend – helping to create a friendly, relaxing atmosphere for all parties. Beer at home just took on a whole new meaning!